Home » love » story » Woman Saves Starving Little Boy Accused Of Witchcraft. You Will Not Believe What He Looks Like Now! 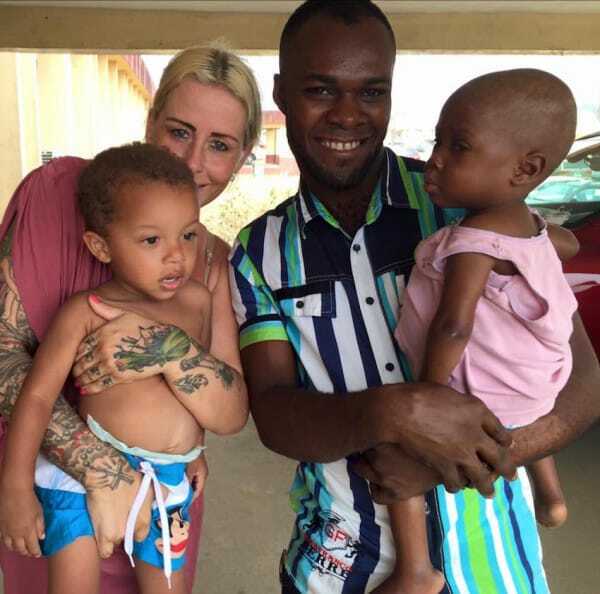 Anja Ringgren Loven, co-founder of African Children’s Aid Education and Development Foundation based in Uyo, Nigeria, saw a two-year-old boy wandering in the street. He was incredibly thin and not being taken care of by anyone. The reason for his abandonment? His parents believed he was a witch. 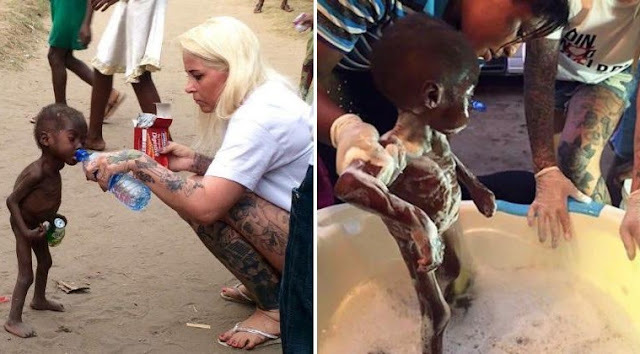 Anja stopped to give this boy some water, tried to feed him some crackers, then wrapped him in a blanket and took him to a hospital for proper medical care. She also gave him the name Hope. 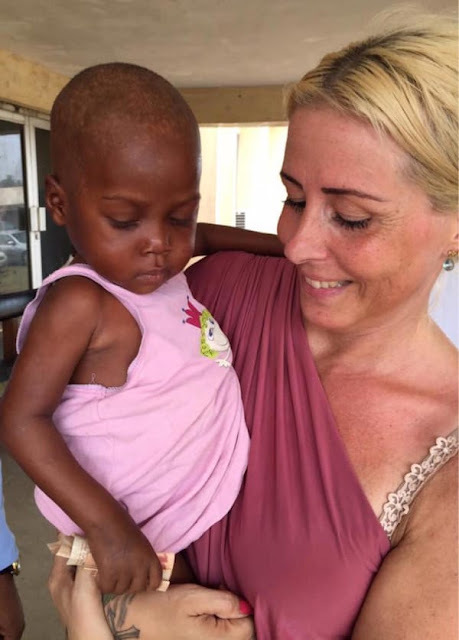 Many would think of Anja as an angel, but this Danish native is just doing what she can for the countless abandoned or orphaned children in Nigeria, just like Hope. 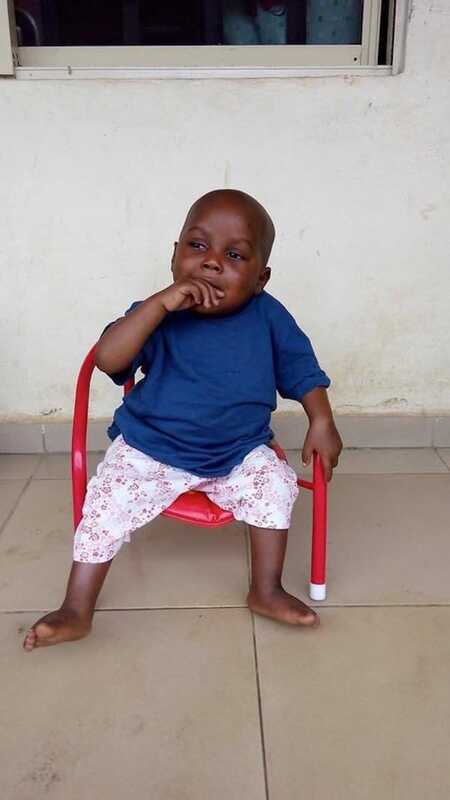 Hope’s story is a common one, and many children in Nigeria are in desperate need of love, care, and even basic necessities. Anja has worked tirelessly her whole life to provide these forgotten children with the care and education they need to grow and succeed in life. This is the photo that shocked the Internet. Little Hope drinking some water from Anja’s water bottle. He was abandoned because his parents, and the community, believed he was practicing witchcraft. 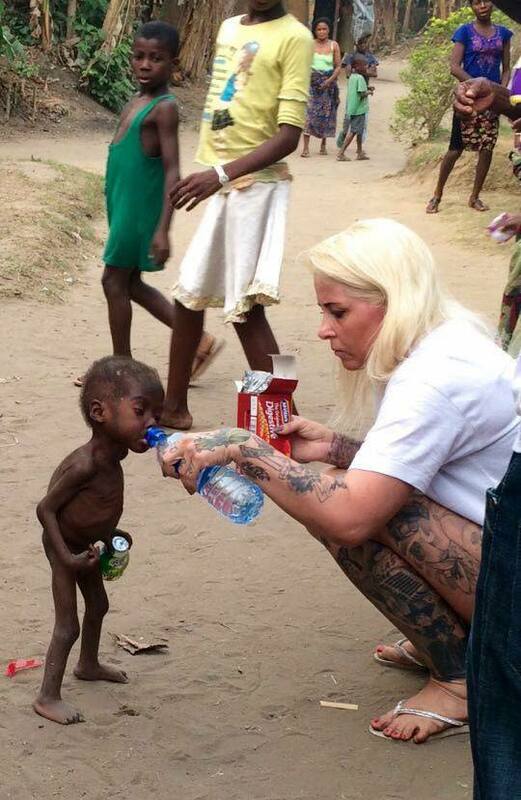 Anja took Hope to a hospital, and started caring for him like he was her own child. 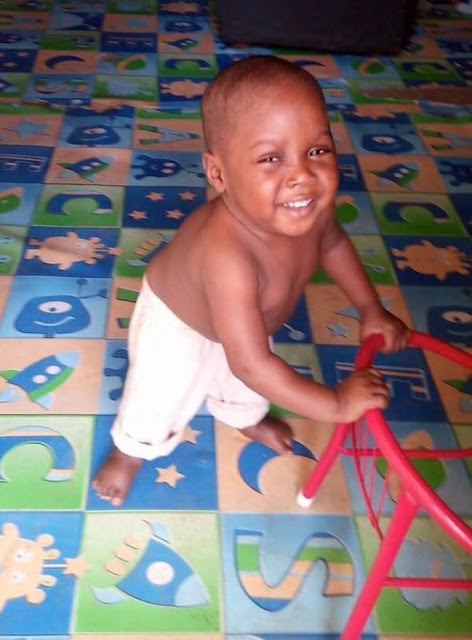 The photo brought in donations, but, more importantly, Hope grew healthier and stronger. 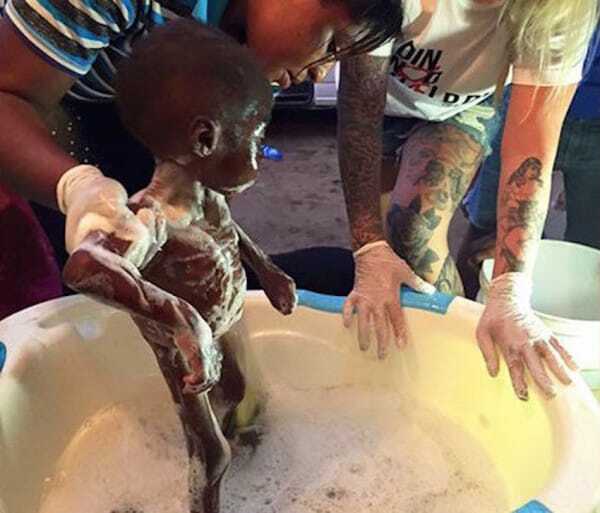 Seeing him in the photo below, it is hard to imagine him as the little boy who so desperately needed help. 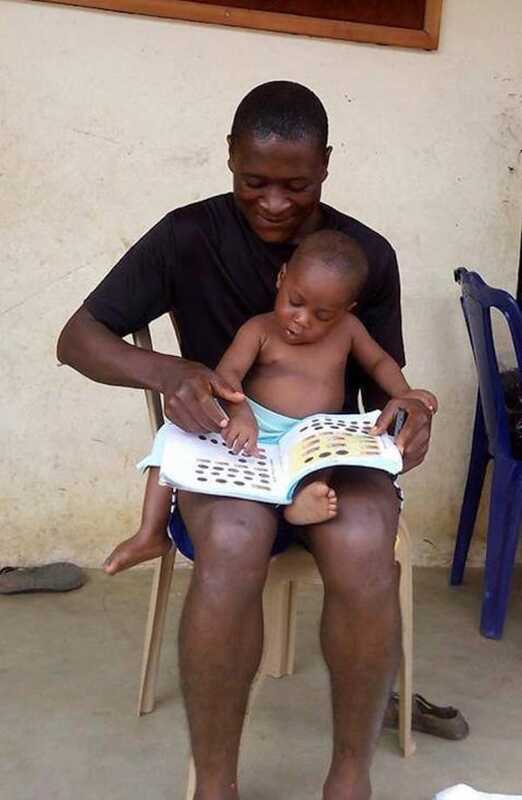 This is Hope reading with Anja’s husband, David. David is co-founder of African Children’s Aid Education and Development Foundation and works with Anja to care for the children. He is sitting just like any proud two-year-old. He will be undergoing surgery soon to fix a minor birth defect, but, besides that, he is in perfect health. Hope is one of the lucky ones. He found a family! To learn more about Hope’s story, and Anja’s work, take a look at the video below.